Cleantech Invest portfolio company Eagle Filters has received a 300.000€ repeat order from IEC, the largest supplier of electricity in Israel. IEC has been using Eagle’s air filtration products for several years, yielding significant economic and environmental benefits. The order shows, once again, the loyalty of Eagle’s customers. Up to date, none of Eagle’s customers have decided to switch back to traditional filtration after seeing the operational benefits of Eagle’s technology. Eagle’s filtration technology is currently in use in several countries in Asia, Europe, North and South America, and Africa. Among Eagle’s customers is Engie, the world’s largest operator of gas fired power plants, that approved Eagle’s products after a rigorous and lengthy testing process. Eagle’s revenue H1 2017 has doubled from H1 2016. The technology has in the past 2 years been tested by some of the world’s largest gas turbine operators with excellent results and these customers are currently considering deploying the technology at scale. Overall, there are approximately 10 000 gas turbines in the world that could benefit from Eagle’s technology, with an annual savings potential of 7,5 billion EUR. 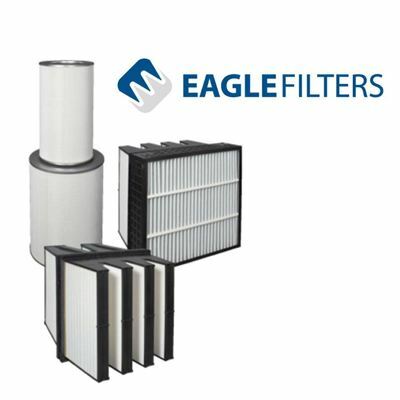 Cleantech Invest owns 28% of Eagle Filters, with options to increase ownership to 40%. Cleantech Invest has communicated, that it will support and accelerate Eagle Filters as one of its core holdings. ”IEC has been an important customer for us and is a world pioneer in utilizing high efficiency filtration. Our close cooperation with IEC in testing our products has been important for our R&D. After verifying the achieved fuel savings for several years, IEC has indicated they will incorporate Eagle’s technology in several other power plants as well”, says Juha Kariluoto CEO of Eagle Filters.